It was really hard to choose the top five tourist attractions in North Iceland, the nature here is breathtaking and almost any place deserves to be in this list. In this post we tried to pick various sights, that may be attractive to people with different interests. It is a unique canyon that has a shape of a horseshoe, it is a part of Vatnajökull National Park and is one of the best places for hiking in Iceland. It was formed after the last Ice Age and there are many legends, why it has such a shape. The most popular theory is that it was formed, when Norse god Odin’s horse touched the ground. Apart of fantastic views, Ásbyrgi also has a small lake, that has a great variety of waterfowl species. It is a stunning caldera located in a remote part of North Iceland. There are several reasons to visit Askja. First of all, one of its craters Viti is a popular bathing site. Another reason is its spectacular lunar-like landscape. The views here are so unique and almost unearthly that Apollo programme actually trained their astronauts for lunar mission here. With no doubts Dettifoss is one of the most remarkable waterfalls in Iceland, it is located in Vatnajökull National Park. The waterfall is so powerful, that when you stay next to it, you can actually feel the vibration of the ground. The footpath to Dettifoss is slippery, but it is definitely worth it, as the view on the waterfall will impress even experienced tourists! Godafoss, which is also known as “Waterfall of Gods” is a wide river waterfall that is famous not only for its gorgeous views but also for its historical value. 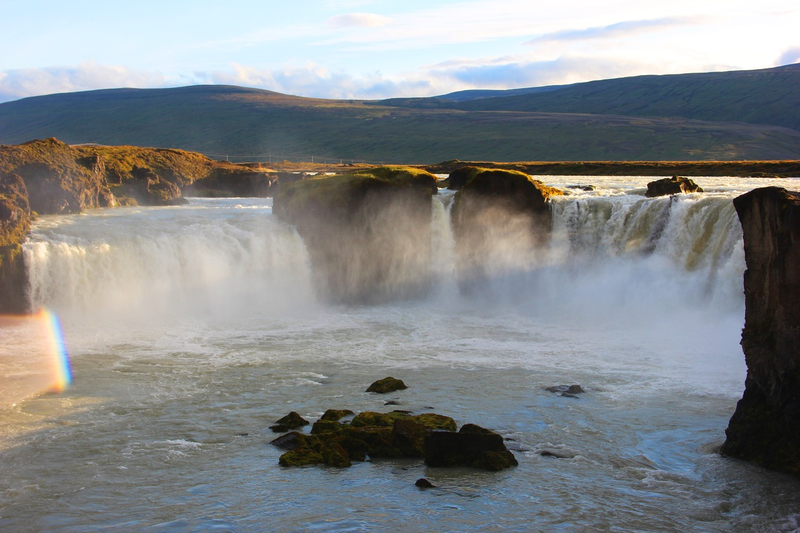 According to a legend, after Iceland adopted Christianity, the statues of Norse gods were thrown into the the falls. Mývatn area is a perfect place for tourists, as there are so many sights to explore: an ancient cave, a beautiful lake, and a geothermal water. Lofthwllir cave was formed more than 3000 years ago, it has fascinating ice structures and thrilling atmosphere. Mývatn Nature Baths is a northern answer to Blue Lagoon, it is a great place for bathing, that is surrounded by stunning nature. And don’t forget to walk around Mývatn lake, as you will be able to see unique Icelandic birds and learn about their habits. Viajes a Islandia con Todo Islandia.